Recharge and get paid – Study had shown that the best way to be financially independent is to create multiple means of income. However, majority on their en-route to financial independence and wealth creation have ended up investing in wrong businesses which ultimately led to lose of funds at the process. How to register on Recharge and Get Paid and many more. RAGP Ltd is a company fully registered with recognized organs in Nigeria, the corporate affairs commission (CAC) and the Nigerian Communications Commission (NCC). They are structured on multi- level marketing to create financial freedom towards reaping all the billions in airtime usage by Nigerians. More so, Recharge and Get Paid is aimed at providing wealth creation platform for Nigerians, irrespective of their locations and destinations. Recharge and Get Paid like it sounds is an arrangement whereby you recharge you cellphone via MTN, GLO, AIRTEL, 9MOBILE as well as data subscription and still get paid for it. You can as well carry out other transactions like TV subscription, bill payments etc. This scheme is divided into two sub categories 1. The VTU/the airtime vendor and 2. The referral/matrix aspect. In a knot shell, you will have to understand that this is more like a business with two dynamics which guarantee earnings in different capacities. You sell airtime of any network as mentioned above, data, TV subscriptions etc and make money as a VTU agent. You as well make money by referring friends to join this program, when they do they become your down liners on a 3×10 forced matrix which allows members to earn residual income even when they stopped working. By implication, it means that each time any of your down liners makes purchase or sales airtime you are guaranteed to earn as referred by the matrix, hope that’s clear. This scheme has 7 different categories of packages as shown below, with different benefits, depending on the plan you can afford, there’s however a room to upgrade as time goes on. Your referral down line earnings extends to their tenth generation. You join this business by registering with at least N5000 which is the basic plan, depending on what you can afford though. On joining, you will get access to a VTU wallet, you will use this wallet to sell your airtime, data and subscriptions etc. You get 10% commission as your down liners introduce others. On arrival, click on “join now”and complete your registration. Platinum member. You get N10,000 and 200pv as well earning up to the tenth level. Basic member N1000 and 20PV, you earn up to fifth level deep. If you you’re conversant with matrix and referral programs, you will come to terms with the fact that referral ID is a very important tool in this business. It is with referral ID that you can be able to have whoever you referred to this program as your down line, otherwise you are on a futile mission. The system recognizes you and your down liners via your referral ID. Upon registration on the Recharge and Get Paid platform, the system will automatically generate a unique referral ID for you, no two people have the same referral ID. This guide is however a review on Recharge and Get Paid. On Recharge and get Paid app, kindly visit Google Play store and download this application. 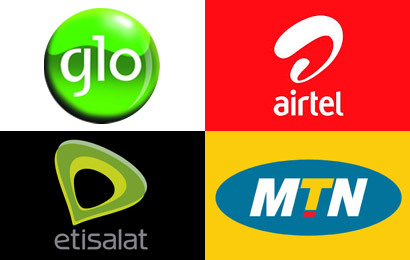 Note: Recharge and Get Paid is a registered Nigerian owned Telecom Company with RC Number:1279919. This company is located at Suit C16, Danziyal Plaza Central Business District, Abuja. Call: +234 803 722 1858, +234 818 209 8378, +234 811 689 8208. Business days Monday – Saturday. 9am-6pm. You make money via VTU and referral, you refer people with your referral ID. Benefits abounds, depending on the package you choose to buy. You can make over N200k monthly depending on your ability to market this product. Share your referral ID with your friends on social media like Facebook, twitter, Instagram etc. Join groups and share your links as well. Forums are very good targets as well, but do not spam. Encourage your relations and friends to register under you. You stand a chance to make huge money if you are a blogger, share it with your loyal readers and they will be glad to join the band wagon. Grab this opportunity today to get that financial independence you’ve been yearning for. Recharge and Get Paid rocks. Thank you very much for being here, see you at the top. Raphael is a seasoned and dynamic writer, with interest in Banking, personal finance, entrepreneurial development. A councillor and motivational speaker.